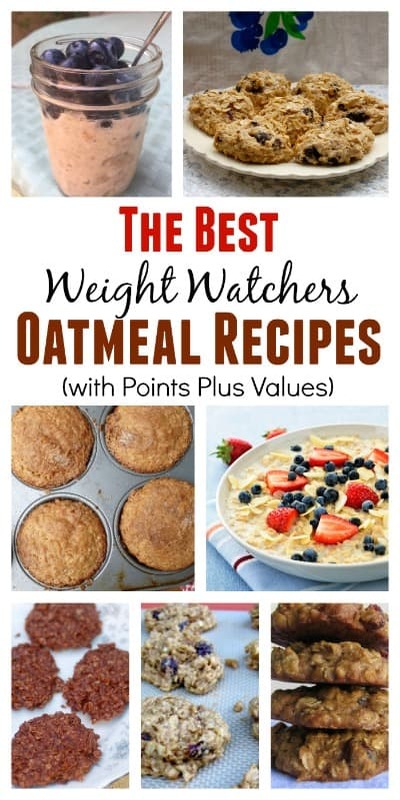 Oats are one of my favorite Weight Watchers Power Foods. In addition to being nutritious, they’re cheap, easy to prepare and when done right, they are delicious. A bowl of oatmeal will keep you satisfied for hours. Oats are naturally high in fiber, which helps keep blood-sugar levels stable and naturally lower cholesterol and rich in minerals like magnesium, antioxidants and B vitamins, which are essential for converting carbohydrates into energy. Start your day with oatmeal. It’s fat soluble fiber takes a long time to break down, reducing your body’s insulin level and speeding up your metabolism! Much more than a warming breakfast meal, oats can also add a boost of nutrition to a wide variety of dishes. Rolled Oats or Old-Fashioned Oats: are oats that have been rolled and flattened into flakes so they cook in just 5 to 10 minutes. Though I love a morning bowl of oatmeal, my favorite way use old-fashioned oats are in sweet baked treats like these banana oatmeal cookies and low fat chocolate chip oatmeal cookie bars. 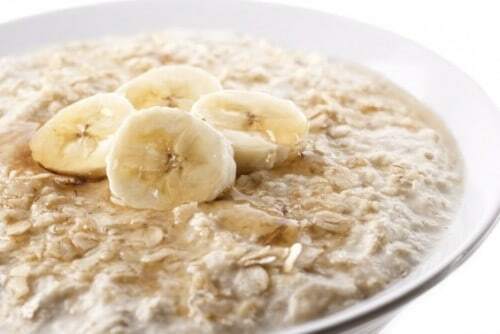 Quick Cooking or Minute Oats: are rolled oats that are chopped into smaller pieces so they cook in about 1 minute. They also are a great replacement for bread crumbs in recipes like Paula Deen’s meatloaf and no bake chocolate oatmeal peanut butter cookies. Instant Oats: are oats that have been rolled even thinner and finer so they cook in seconds. They are usually pre-flavored and full of sugar, so they’re not the best choice when you want to eat healthier and lose weight. Look for a low sugar variety for when you are pressed for time. Steel Cut Oats: are also known as Irish oatmeal or Scottish oats. They have been cut into pieces instead of rolled and have a hearty, nutty taste and texture, but take longer to cook – about 30 minutes. You can shorten the cooking time to 5 to 10 minutes by soaking them overnight. I love to eat steel cut oats for breakfast, but mine are even easier to make. I use the water bath crockpot overnight method. In a 4 cup glass measuring cup, I place 1/4 cup oats and 1 cup water for each serving I want to make. Add a pinch of salt and a splash of vanilla, then place the whole thing in your empty crockpot. Fill the crock (around the measuring cup) with water at least halfway up the cup. Cover and cook on low for at least 5 hours but as many as 10. When you wake up, take the cup out with a hot pad, stir and serve. Let the water in the crockpot cool before dumping, or leave it in with the lid on and reuse it for the next night’s batch. I jus leave my water-filled crockpot on my counter now, so a hot breakfast takes me 5 minutes a night now! 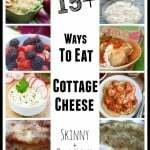 I use a 1-1/2 Quart crockpot to prepare my oatmeal and it doesn’t burn or dry out. You also don’t have to worry about possibly burning yourself lifting a measuring cup out of hot water. 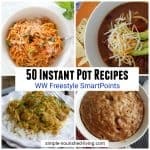 I put 4 cups of water or a few drops more along with 1 cup steel cut oats into the crock pot. Turn it on about 10 PM and it’s perfect when I wake up at 5:30 or 6 AM. I have been making steel cut outs in the slow cooker for a few years now. I use 1 cup steel-cut oats and 4 cups water. I set it on warm for 8 hours or overnight. If you only have a low setting, four hours is probably plenty of time. 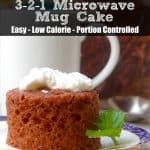 I don’t have a ‘warm’ setting, so I cook mine for four hours and then put them in the fridge for quick and easy reheating in the microwave. They are awesome and the cheapest oatmeal you could ever make. Much better than instant or quick oats. Jam, jelly, marmalade or preserves. Strawberry, raspberry and apricot are personal favorites. While I love traditional porridge style oatmeal, recently I’ve been recalling enjoying baked oatmeal. It’s really easy to make. All you do is mix it up, bake it, and then store it in the fridge until you’re ready to eat it. 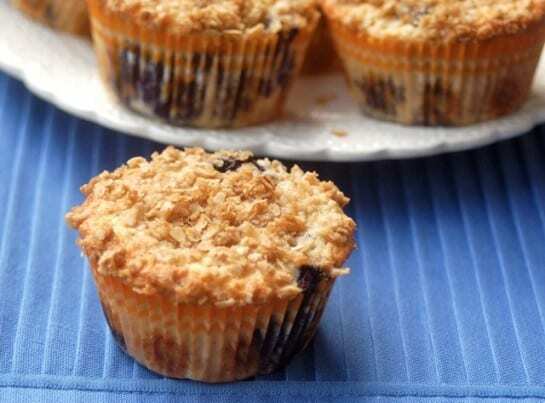 I love to bake up a batch over the weekend and then enjoy it during the week for a quick and easy breakfast that keeps me satisfied until lunch. 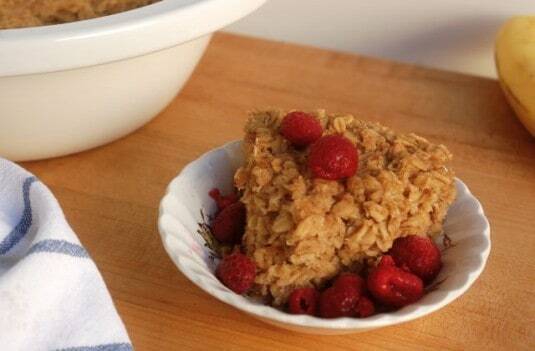 My go to recipe for healthy baked oatmeal is from the Weight Watchers New Complete Cookbook. It’s easy, healthy and delicious with 7 WW PointsPlus. 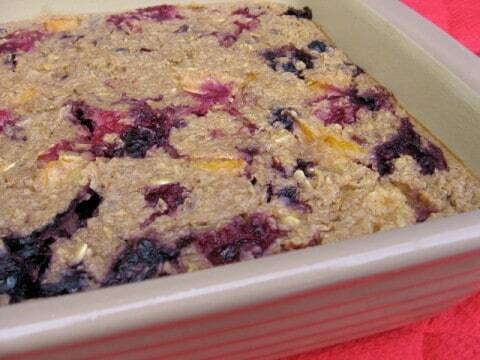 A hearty and delicious recipe for baked oatmeal with lots of fruit and cinnamon. Preheat oven to 350F degrees. Lightly spray 8-inch square baking dish with nonstick spray. In a large bowl, mix together the oats, apricots, cranberries, all except 2 tablespoons of the brown sugar, baking powder, cinnamon, and salt. 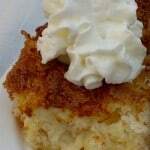 In another bowl, whisk together the yogurt, 1/2 cup milk, the applesauce, egg whites, oil and vanilla until smooth. Add the yogurt mixture to the oat mixture and stir until well combined. Spoon into the prepared baking dish and spread it out evenly. Sprinkle with the remaining 2 tablespoons brown sugar. Bake the oatmeal until a toothpick inserted into the center comes out clean, about 35 minutes. Remove from the oven and let cool in the baking dish on a wire rack for 10 minutes. Cut the oatmeal into 8 equal portions and serve with remaining 1/2 cup milk. Use 1 to 2 cups of whatever fruit you like best. 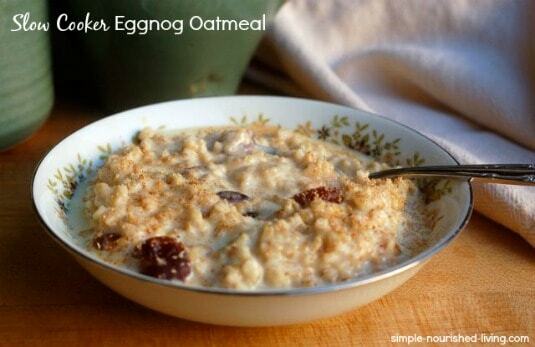 When the weather is cool I loved to make overnight oatmeal in the slow cooker. When it’s 115 degrees I rarely want anything hot for breakfast. I usually opt for a smoothie, fruit and yogurt parfait or english muffin with peanut butter. Sometimes I want oats. The solution? 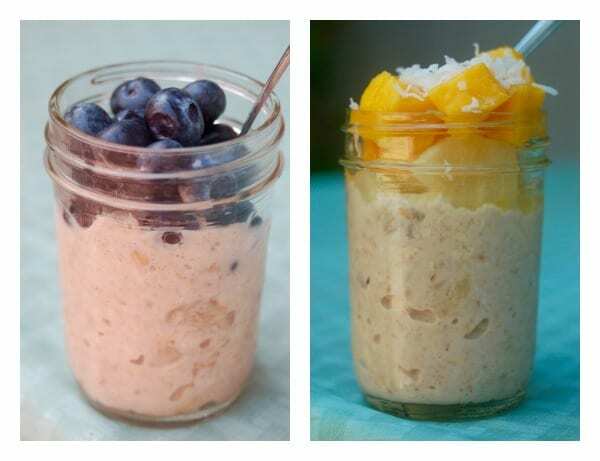 Easy soaked overnight oats. Old fashioned oatmeal stirred together with any combination of ingredients and then placed in a jar or bowl and set in the fridge till morning. It’s a cool yet satisfying way to begin the day, especially when topped with fresh fruit. You don’t really need a recipe, just stir together what you like best. Here’s what I did last night. It was enough for 1-2 servings depending on how hungry you are. 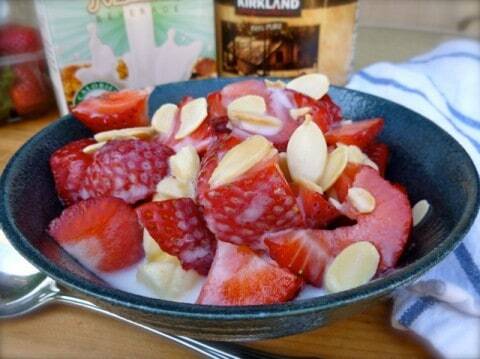 Want more soaked overnight oatmeal ideas? 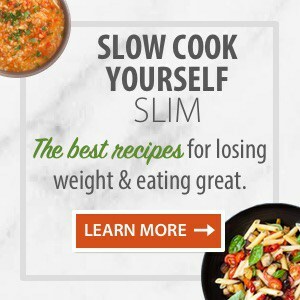 As well as an amazing Overnight Oatmeal Tutorial with 20 Delicious Recipes from Tammy at Organize Yourself Skinny! 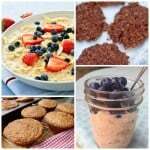 I love to use oatmeal to bake all kinds of yummy things including muffins, breads, cakes, granola, scones and cookies. 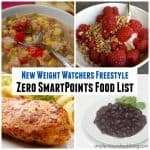 Here are some of my favorites, all Weight Watchers friendly, of course! 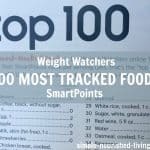 It turns out I’m not the only other oatmeal loving Weight Watcher. 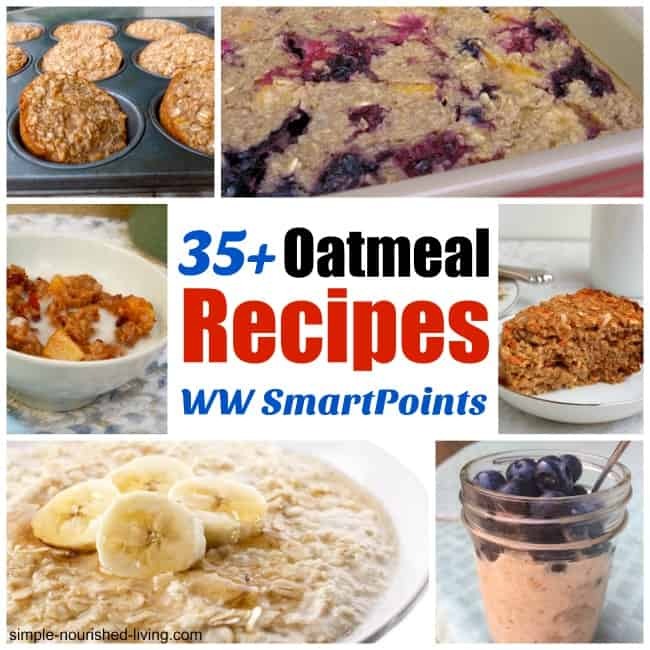 Here’a a great post from Kristen at Slender Kitchen with 50 Weight Watchers Oatmeal Recipes to Spice up Breakfast! 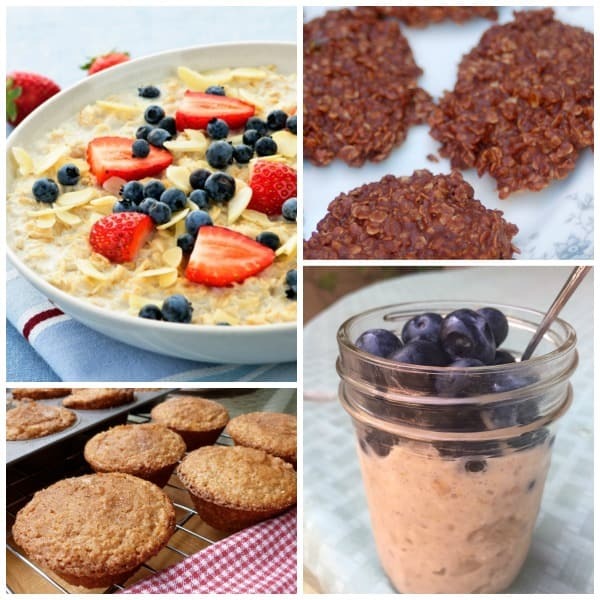 Thanks for sharing these, I was looking for healthy oat recipes and just came upon these!!! Can’t wait to try them out! I use infinity jars to keep my oats fresh and preserve their nutriton value.